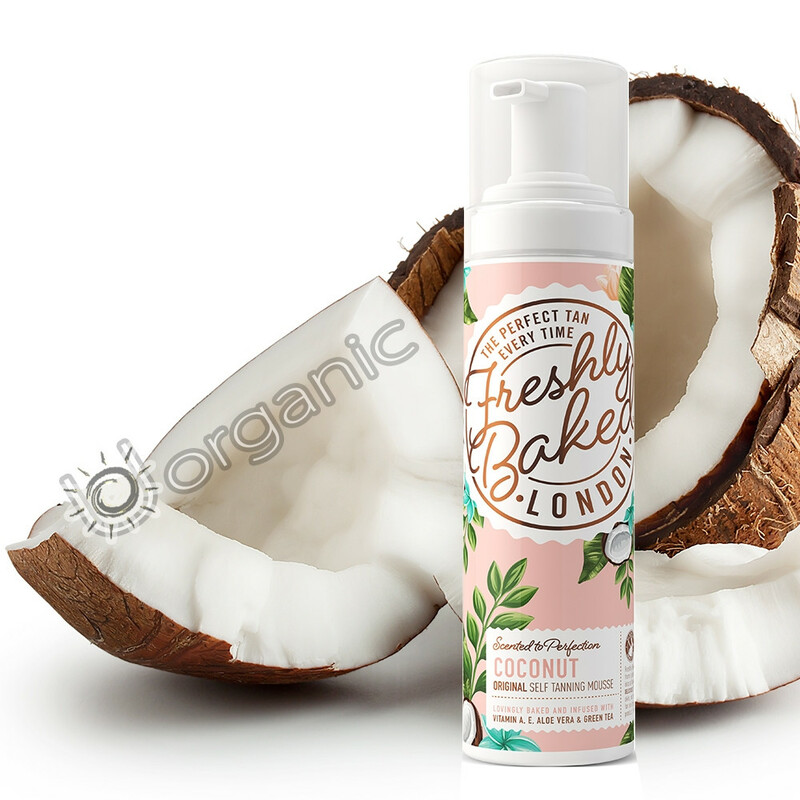 This coconut self tan mousse provides the skin with an instantly bronzed finish that gives the appearance of health and radiance effortlessly. Infused with super nourishing Vitamin E and Vitamin A, this self tanning solution not only imparts a divinely streak-free bronzed hue to the skin, but also cares, conditions and refreshes the skin with the tropical scent of Coconut. Coconut self tan mousse is a paraben and alcohol free formula, that is ensured to add a golden hue to the skin without appearing unnatural. With the inclusion of Aloe Vera and Green Tea Extracts, this effective product provides a flawless tan with a sumptuous scent, whilst simultaneously soothing and rejuvenating the skin, securing an impeccable finish. Ingredients: Aqua, Dihydroxyacetone, Erythrulose, Mono Propylene Glycol, Glycerin, Ethoxydiglycol, Aloe barbendensis (Aloe vera), Sodium C14-16 Olefin Sulfonate, DMDM Hydantoin, Parfum, Tocopherol (Vitamin E), Retinyl Palmitate (Vitamin A), Ubiquinone( CQ10), Camellia Sinensis (Green Tea extract), CI 16035, CI 19140, CI42090.